The findings of this report are based on 12 focus group discussions (FGDs) with Afghan and Somali diaspora members in Denmark, discussing their views on current irregular migration flows to Europe. 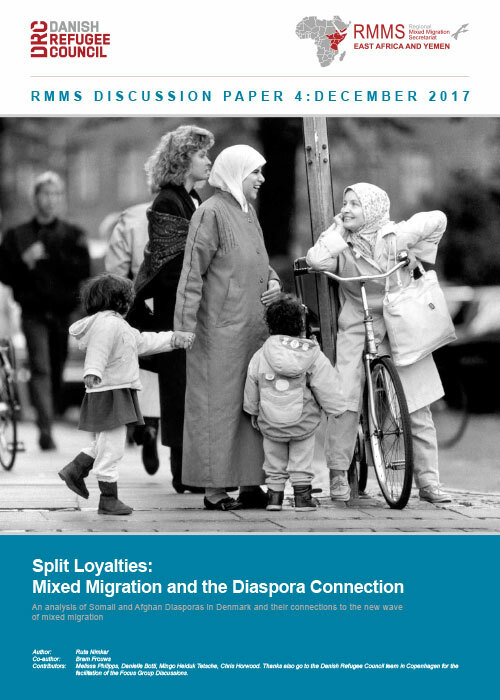 It is important to keep in mind that based on the limited number of respondents from only two diasporas, the findings in this paper represent an interesting, but initial indication of diaspora attitudes toward mixed migration; and that responses were given for a particular geographic context for both country of origin and country of residence. As regards the latter, at the time of data gathering, the situation in Denmark for Somalis with subsidiary protection status was precarious, with a large number of residence permits being reassessed by the Danish authorities with a view of potential revocation. This was a repeating topic at the FGDs, and will most likely have influenced attitudes towards new arrivals.